From telemarketers to fast food workers, automation can either eliminate or bolster a workforce. When the ATM was first introduced, doomsayers forecast the wipeout of bank tellers’ jobs, but the number of bank tellers has continued to climb as the nature of the job has evolved. With the dawn of automation and the shadow of technological displacement now looming over the mass transportation industry, it’s only natural to wonder whether drivers in the field will follow a similar trajectory — or instead face unemployment. Industry experts are hard at work seeking to quantify the impact of automation on the rapidly evolving mobility industry. Drawing on research from the U.S. Bureau of Labor Statistics, the Deloitte consultancy calculates that bus drivers employed by transit authorities face a 67% likelihood of automation, compared to a 2% risk for civil engineers and a 99% probability for insurance underwriters. But what does it mean to say that there’s a 67% chance of bus drivers’ jobs being automated? Contrary to widespread misconceptions, this does not entail a 67% likelihood that bus drivers will be put out of work. Simply put, automation does not equal elimination. So, what will automation mean for transit operators? First, it’s important to stipulate that we’re at least 10 to 20 years from widespread adoption of fully autonomous fleets. Not only does self-driving technology itself need to be refined, but securing public buy-in and devising regulatory regimes will take time. The algorithm wave, lasting through the early 2020s, in which artificial intelligence and big data analytics bring unprecedented efficiency to key sectors. The augmentation wave, through the late 2020s, wherein more workers find themselves working alongside AI and robotics. The autonomy wave, beginning by the mid-2030s, in which robotics and machines become more prominent and are able to execute tasks with minimal human involvement. It is in this wave that we’ll see automation’s greatest impact on jobs, particularly in sectors like mass transit. Even when autonomous fleets are widely adopted, it’s certain that human employees will still be needed to carry out many of the tasks involved in drivers’ daily jobs. Bus drivers are required to do much more than simply know a route and navigate traffic: they must be intimately familiar with traffic laws and safety regulations, know how to optimize time management, assist passengers in need, and maintain order on their vehicles. Additionally, bus drivers perform basic cleaning and maintenance of buses, which is vital to a well-functioning transit system. 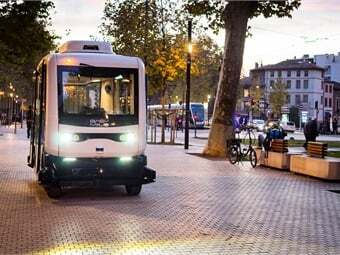 With automation, a new type of mass transit worker may emerge — a specialized worker who will carry out the maintenance tasks once performed by human drivers. The same may apply to future fueling or charging stations for autonomous vehicles, which will need employees as well, much like the gas stations of today. Moreover, technological improvements — and their attendant benefits for efficiency and service quality — will help foster increased demand for public transportation, since it will become more timely and effective. 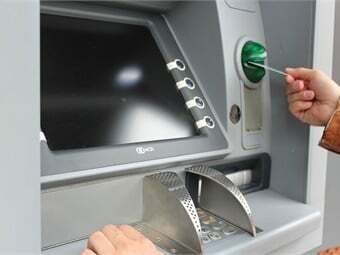 Consider the impact of ATMs on banks. With automated tellers, operating a bank branch became much cheaper, thereby increasing the number of bank branches in operation. Similarly, automated drivers can be expected to increase the number of buses in operation, along with the frequency and overall quality of service. 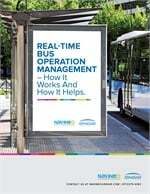 Drivers currently account for 80% of operational costs; an 80% cost reduction will yield much greater frequency of service, so a bus that once arrived every 30 minutes can now arrive every six minutes instead — a game-changer for urban mobility. As the sector becomes increasingly reliant on data — the oil that will fuel optimized performance, scheduling, and a quality rider experience — mass transportation will see increased demand for jobs in fields like programming and data science, much as AI and automation will spur job creation for skilled workers across other sectors. For those working outside of such highly skilled fields, it will be essential to ensure proper training and preparation for the future. While experience informs us that the nature of work is certain to change for bus drivers and fleet operators, predictions about how many transit jobs will remain for them and how many will be forced to find work in other sectors amount, for now, to educated guesswork at best. This much is clear: there’s much to be gained from investing in mobility innovation and training today’s drivers for the jobs of tomorrow — and much to be lost if we throw the future of mobility under the bus.